Why Are Millennials Eating Toxic Tide-Pods? 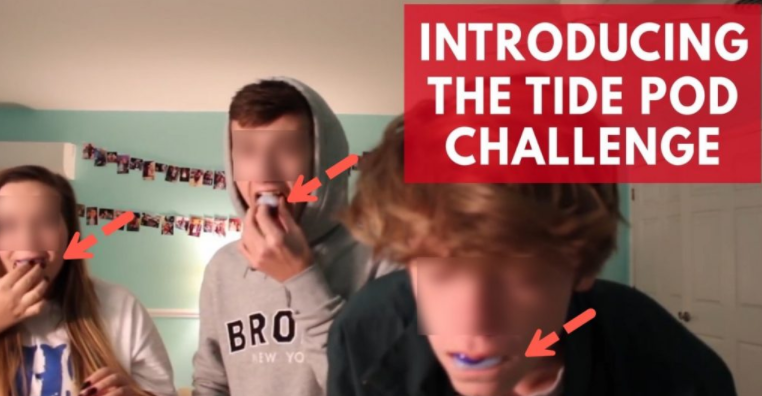 A new internet meme called ‘The Tide Pod Challenge‘ has circulated social media channels with the millennial generation taking some severe risks to their health. In a period of wage stagnation and a job environment that is deteriorating, the hopeless millennials have resorted to stupid social media challenges in the hopes of gaining fame, and perhaps the chance for a better life. As we know, that is never the case, unless a brilliant millennial monetize the content. Nevertheless, in the first 15-days of the new year, as millennials are on break from overpriced universities, poison control centers across the country have received 39 calls of teens poisoning themselves after they ate the highly toxic laundry pod. “The ‘laundry packet challenge’ is neither funny nor without serious health implications,” said Stephen Kaminski, JD, AAPCC’s CEO and Executive Director. “The intentional misuse of these products poses a real threat to the health of individuals. We have seen a large spike in single-load laundry packet exposures among teenagers since these videos have been uploaded,” Kaminski added. Poison control centers across the country have handled over 50,000 calls about liquid laundry packet exposures over the past five years. While a majority of the exposures are from unintentional misuse by children under the age of five, the recent trend of 13- to 19-year-olds have been responsible for more than 130 intentional exposures since 2016, according to the (AAPCC). “Everyone needs to be aware of the dangers of swallowing the contents of a single-load laundry packet. Only use the packets for their intended use and be sure to store them up and away,” said Kaminski. Consumer Reports warns about the ‘The Tide Pod Challenge.’ Their tweet outlines how the challenge may seem like a joke, but ingesting the dangerous chemicals could be deadly. “Mention of eating Tide pods appeared as early as 2015, when satirical website The Onion published a column comparing them to candy. Then in March 2017, a video by College Humor titled Don’t Eat the Laundry Pods brought it back to the surface, featuring college students who were tempted to eat the pods. As of Jan 16, the video has more than three million views,” said Channel News Asia.